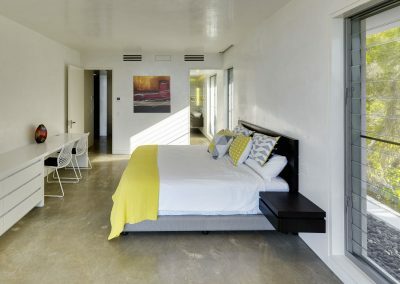 The Wategos Residence is located in Northern New South Wales. 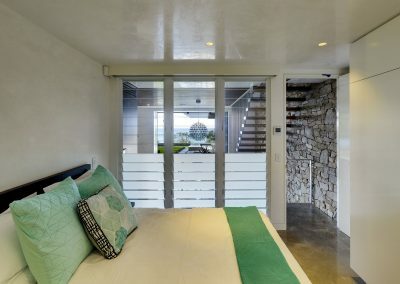 Designed by Architect Sam Zaher, the concrete house functions as two separate living spaces for the clients and their kids. 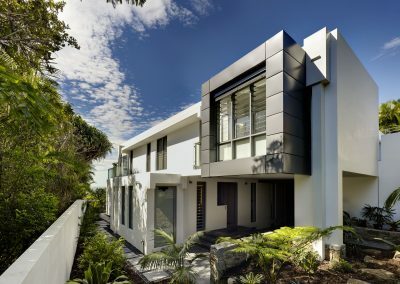 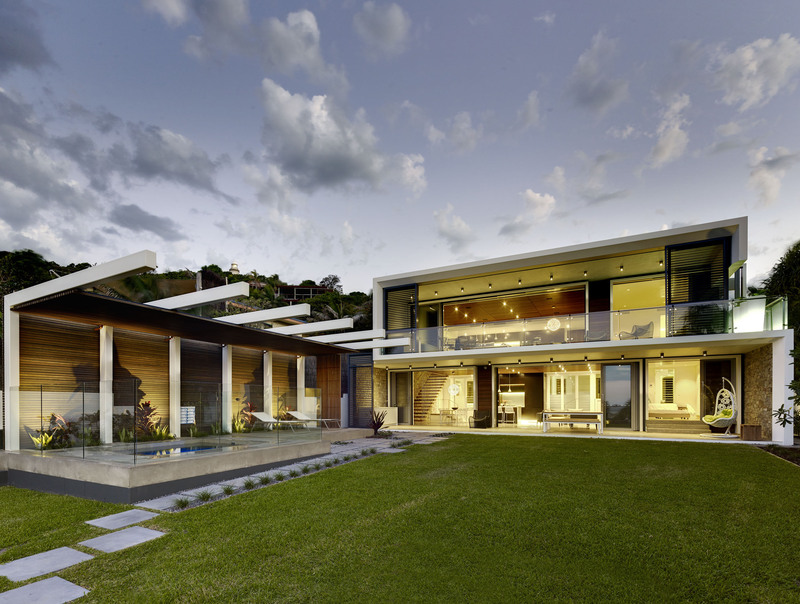 The use of concrete, stone and hardwood throughout the house is due to the brief to withstand the harsh Australian and marine environment without the need for much maintenance. The modern design is robust and stands strongly on the site, and opens up to the magnificent outdoor views and beach. 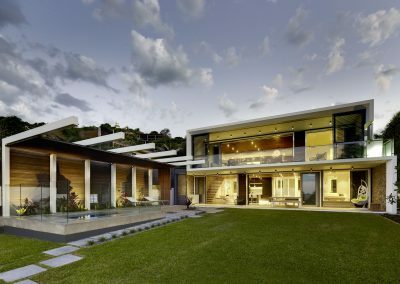 Breezway Louvre Windows have been used to let natural light and cooling breezes in to keep the home comfortable all year round. Multiple bays of clear and obscure glass in the bedroom allows views and light to enter the room, while providing privacy at the same time. 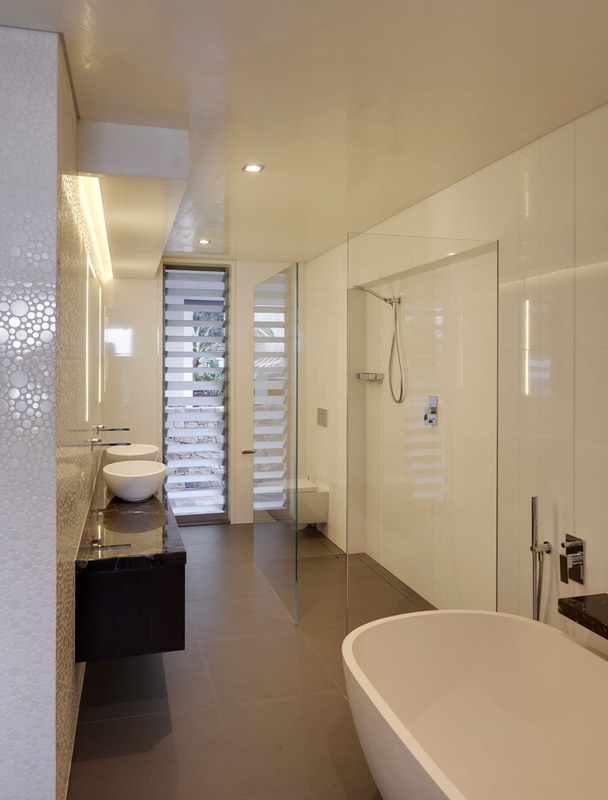 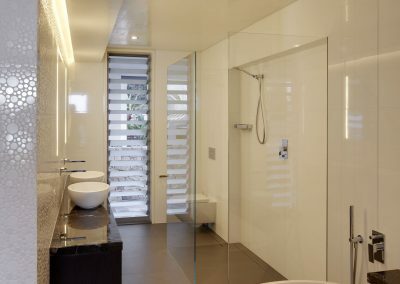 Tall, narrow louvres can be seen in the bathroom to vent the room from built-up steam and also maintains privacy for occupants.